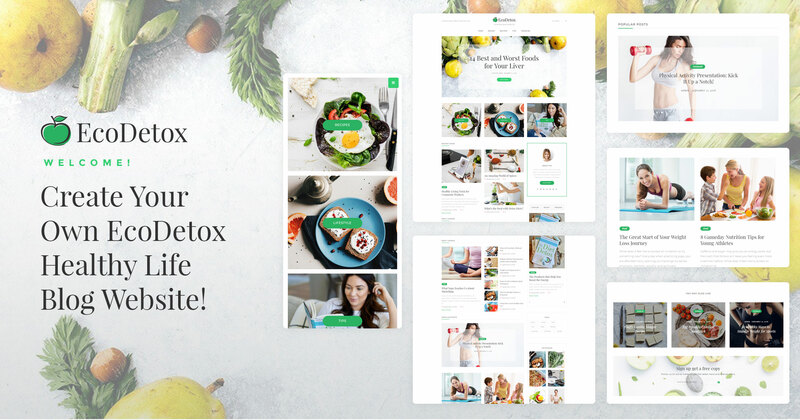 Inform more people about the benefit of a healthy lifestyle in the most effective form using EcoDetox theme. 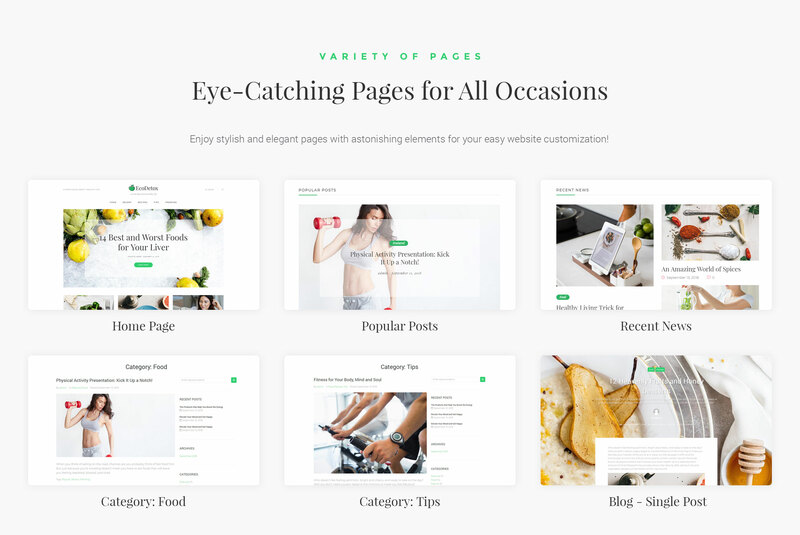 You will be able to create an informative, stylish blog thanks to a neat design and a comprehensive functionality of the theme. You will get a powerful Jet plugins bundle, which you will use with Elementor page builder for building a magnificent blog website. JetThemeCore plugin will provide you with a huge library including pre-made sections and ready-made pages, which will be applied easily to the pages. One of the most useful plugin, JetBlog, will allow to organize the blog posts in the fashionable layouts using its widgets, such as Smart List, Smart Tiles. You will iven up your content using JetTricks plugin, which will make possible to add animation tricks and visual elements on the pages without any coding knowledge. You will enrich headers and footers with additional functionality thanks to JetBlocks plugin. 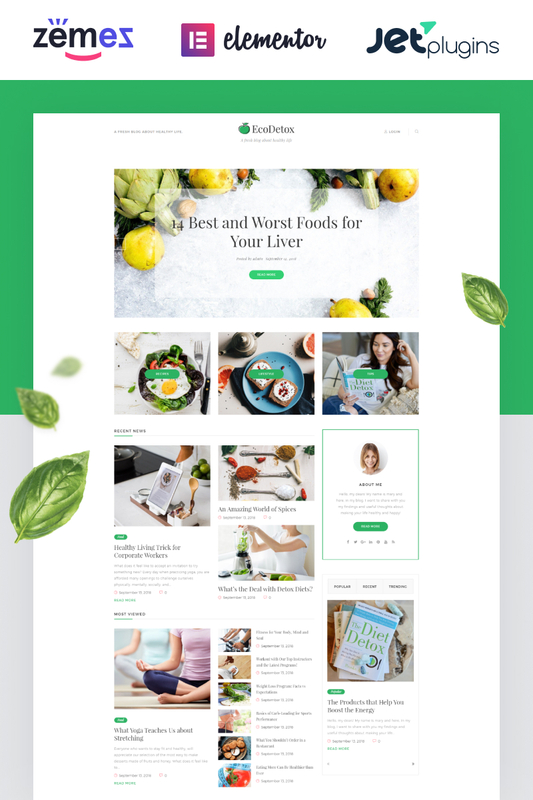 Your blog will become more popular and look more interesting with a responsive Healthy Food Blog theme.